Using Snapchat with music in the background can make your video snaps and stories a lot more fun and entertaining for all your friends to watch. 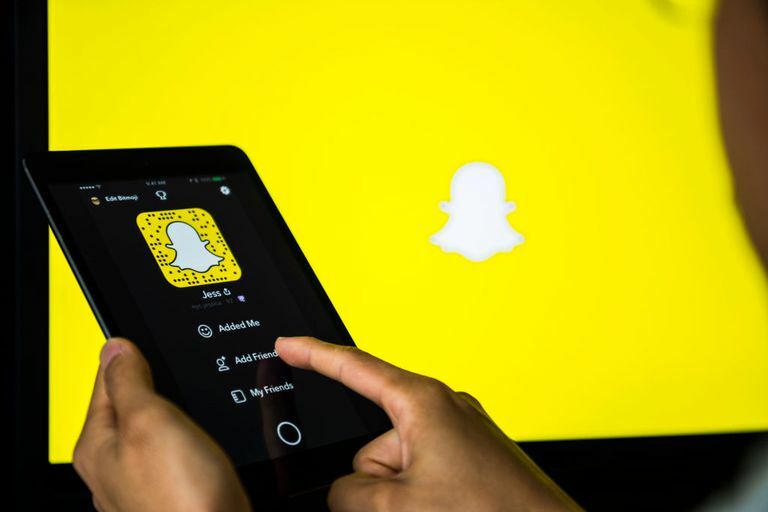 In the past, integrating music into Snapchat videos has always been difficult mainly because users couldn't (and still can't) upload prerecorded videos or use third-party apps. Luckily the folks at Snapchat got the message that users want music in their snaps, so an update to the app eventually made it possible to play music on your device in the background as video messages are recorded. Open up your favorite music app and play any track you want. Whether it's iTunes, Spotify, Pandora, SoundCould or any other app, as long as it plays music on your phone, you can use it with Snapchat. Check out these free music apps if you need some suggestions. Open up Snapchat (with the music still playing on your device from your music app) and record your video message. Navigate to the camera tab and hold the big record button down to record your video message. It will record all the music your device is playing at the same time. Before sending or posting it, quickly navigate away from the Snapchat app (without closing it down completely) so you can pause your music app and then go back to Snapchat to watch/listen to your video preview. After you've filmed your video, you can either go ahead and just post it, or you can check out the preview first. You'll probably need to pause the music that's still playing in your music app first, which makes for a bit of an awkward few seconds as you try to get out of Snapchat, open up your music app to hit pause and then quickly get back into Snapchat as fast as possible. If you do it quick, your video preview won't be erased and you'll still be able to post it. Send it to your friends or post it as a story. If you're happy with your video preview and the music playing along with it, go ahead and post it! Keep in mind that Snapchat records the music at a pretty high volume, so consider turning it down in your music app if you want your own voice or other background sounds in your video to be heard through the music. Although it's not ideal to have to leave the Snapchat app to pause the music playing from another app, the addition of a music feature in Snapchat is something that brings it more up to speed with other competing social video apps—particularly Instagram. Prior to this update, if you wanted music to play in your Snapchat videos, you needed another device or computer to play it. Users also took advantage of the third-party music app Mindie before Snapchat cut off its access. Go and have a look through some of the fun lenses that have built-in music tracks with them. Snapchat has been including more lenses like this — some of which feature new singles from popular artists — which automatically start playing music as soon as you activate the lens. New ones are added every day, so keep checking!